Revel in Tanzania's natural charms on this thrilling safari adventure; four unique parks, six unforgettable days, and a journey that compels and captivates. Iconic names ignite the imagination: Serengeti, Ngorongoro, black rhinos, elephant herds, prowling leopards. 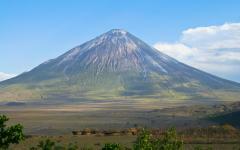 Yet this itinerary is also full of surprises and personal moments that reveal Tanzania in all its glory and splendor. 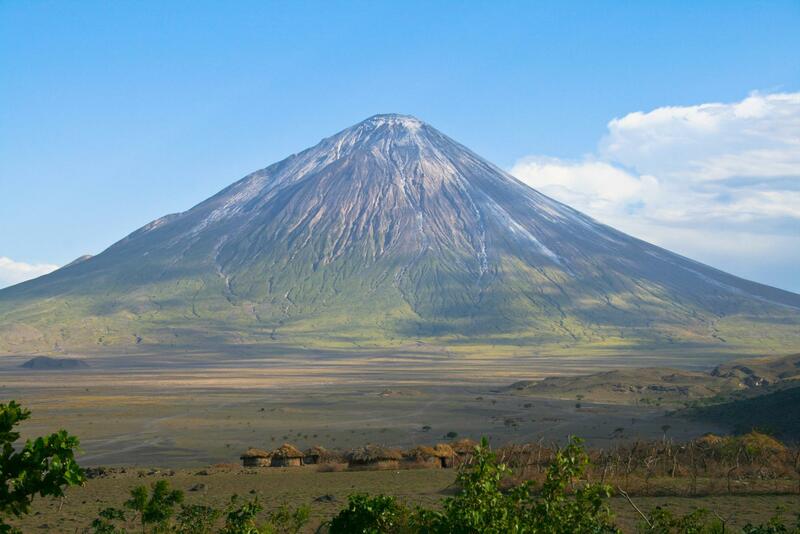 Northern Tanzania is perhaps Africa's greatest safari region, an untamed land where indelible scenes defy the eyes. It revels in diversity, each park providing a different ecosystem and an unforgettable cast of wildlife. Over six days you'll visit four different parks, immersing yourself in a natural world that goes beyond anything you might have seen in documentaries. 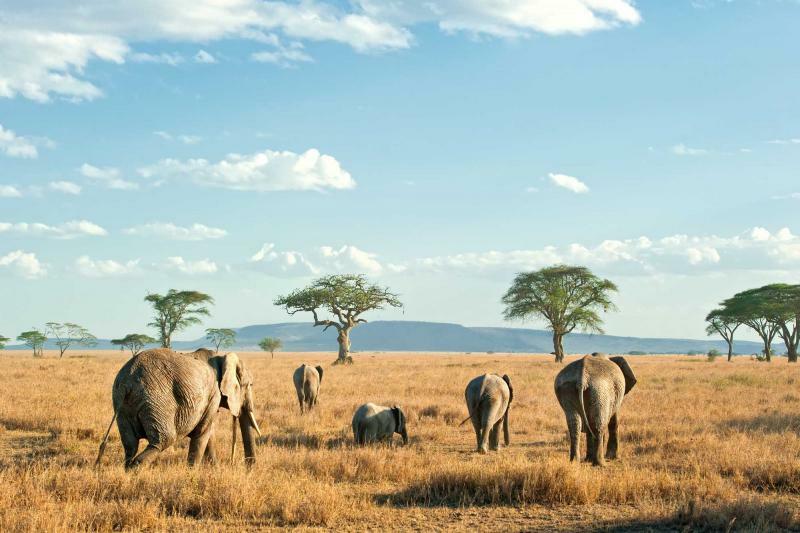 Elephants wander past ancient acacia trees in Tarangire, black rhinos plod through the savannah of Ngorongoro, and big cats stalk prey on the endless plains of the Serengeti. Every game drive is different, but it always combines classic, sought after scenes with personal moments and surprise. Everybody remembers the lion that lounged by your safari truck. But nobody else saw the cute interaction between two hippos beside the lake. 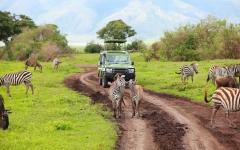 These six days offer a complete safari package. It's a thrilling adventure, but one that's packed full of charm and serene moments. 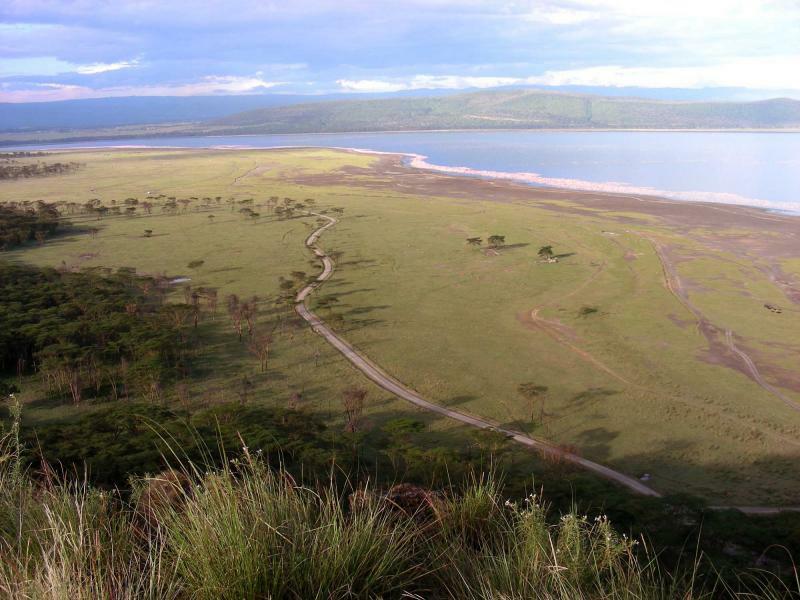 Lake Manyara is the perfect first stop, a compact park that offers hippo infested lakes and giraffe covered floodplains. Bird song flutters through the forest but this is no place for a quiet picnic. Baboons impishly roam while tree-climbing lions wait silently on the branches. 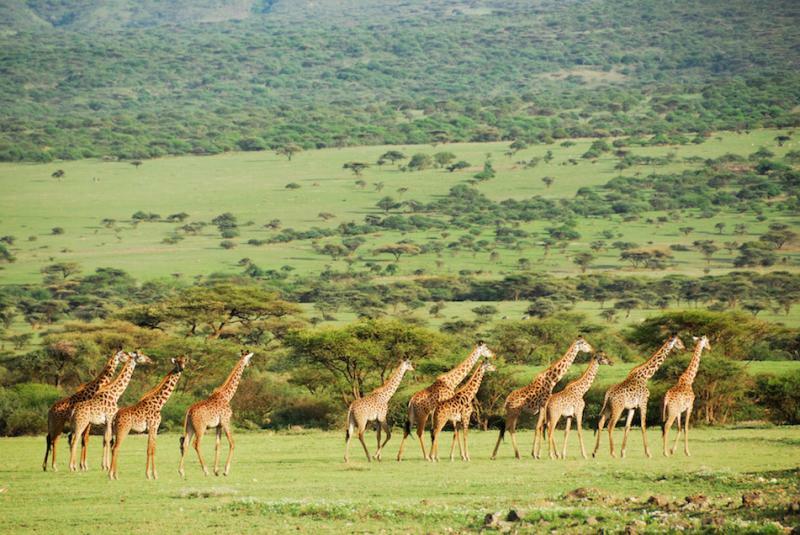 From here you head to the Serengeti and three days exploring the grassland of this iconic national park. Two million mammals maraud around this land during the Great Migration, the wildebeest carefully tracked by a smorgasbord of predators. 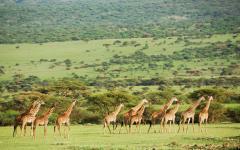 At all times of year the Serengeti contains a remarkable concentration of wildlife. And it's all easily spotted, from lounging lion prides to the antelopes that dot the plains. With this unique itinerary you'll be staying in luxury tented camps that effortlessly combine comfort with a total immersion in nature. Sounds perforate through the thick canvas tents, wildlife wanders just meters away, and there is an encompassing sense of freedom and adventure. 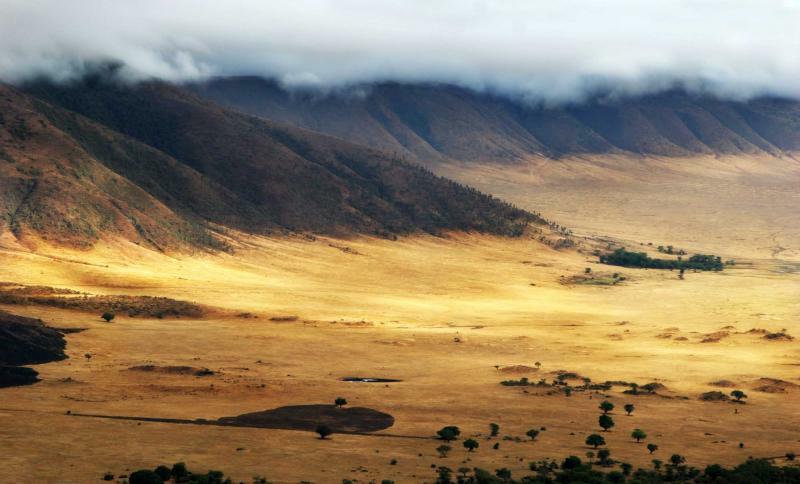 After the Serengeti you'll descend into the remarkable world of Ngorongoro, an inactive volcanic crater that contains six diverse habitats. Black-maned lions, majestic rhinos, giant elephant bulls, large hippo pods; it's all visible and sometimes within one sweep of the eyes. Concluding the safari experience is a trip through the ancient acacia trees of Tarangire, one that reveals the interaction of elephant herds numbering up to 300 strong. Expect to be wowed over these six days, and expect nature's great theater to play out before your eyes. Your safari adventure starts with the rowdy sound of hornbills, great flocks of birds covering the entrance gate to Lake Manyara. As you enter a thick forest the cacophony dies down, supplanted by an assortment of the park's over 400 bird species. Each turn takes you deeper, Africa's unique animal world slowly revealing itself as you meander around corners. 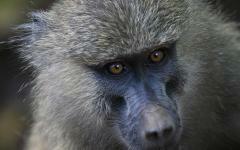 Baboons appear, prancing around and impishly staring at the safari truck. Now watch an elephant clearing a track with its ferocious dismantling of trees. Impala and oryx stand watchful, always alert because the predators in Lake Manyara have some unique talents. Glance at a tree and you might not see it. Even when you're barely meters away they can easily be missed. But a twitching tail alerts your eyes and now it all seems so obvious. A tree-climbing lion lounges on a branch, its eyes intensely focused on you. 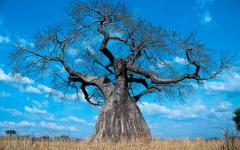 Along with Tarangire, this is one of the few places in the world where lions live in trees. They enjoy the shade and breeze up here, and it's always good to have an aerial vantage point of the dinner menu. 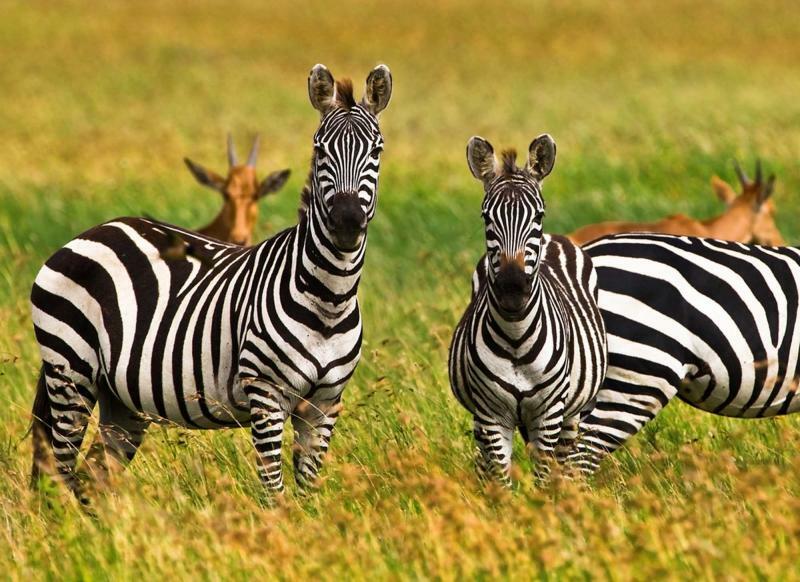 Zebras cover the lake's flood plains, feeding on the lush grass that makes this an oasis for wandering herds. Long necked gerenuks are careful about where they eat, arching back on their hind legs and stretching for the leaves of lower branches. They must always be cautious, because if it's not the lions that they must be wary of then it's the stealthy leopards. 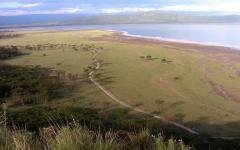 Lake Manyara offers the perfect safari introduction because of its compact collection of different habitats. 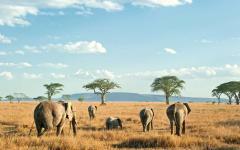 After emerging from the forest, the savannah brings open expanses of elephant and giraffe. Wallowing in the shallows, large pods of hippos throw their weight around the lake. There is also a quiet serenity here, making it easy for everyone to settle into the gentle rhythm of safari. 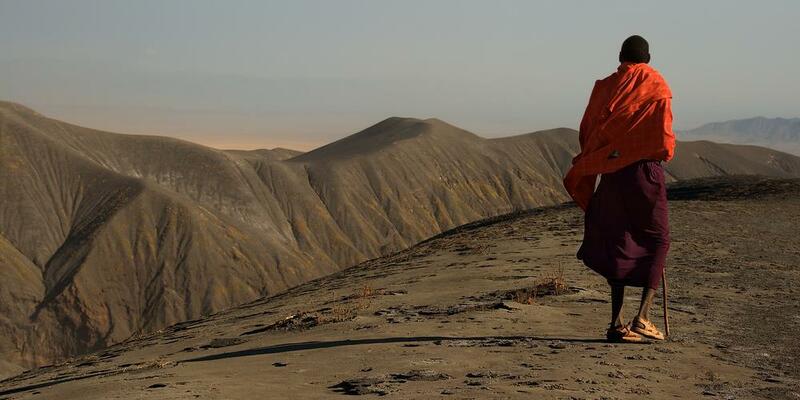 Exploring these untamed lands is not about charging around hoping for glimpses of brilliance. It's all about moving slow, admiring the beauty of the environment, and allowing nature's great theater to ineradicably play out before your eyes. In the late afternoon you'll enjoy a visit to Maasai cultural sights before a leisurely dinner at your luxury tented camp. Game viewing starts long before the Serengeti entrance gate, the endless grass plains dotted with wildebeest and marauding antelopes. 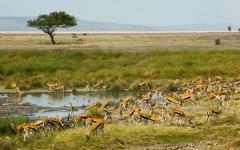 Wildlife roams free in Northern Tanzania, migrating with the rains, free from barriers or fences. Lions amble slowly across the lush grass, their bellies full but their tongues seeking out a waterhole. 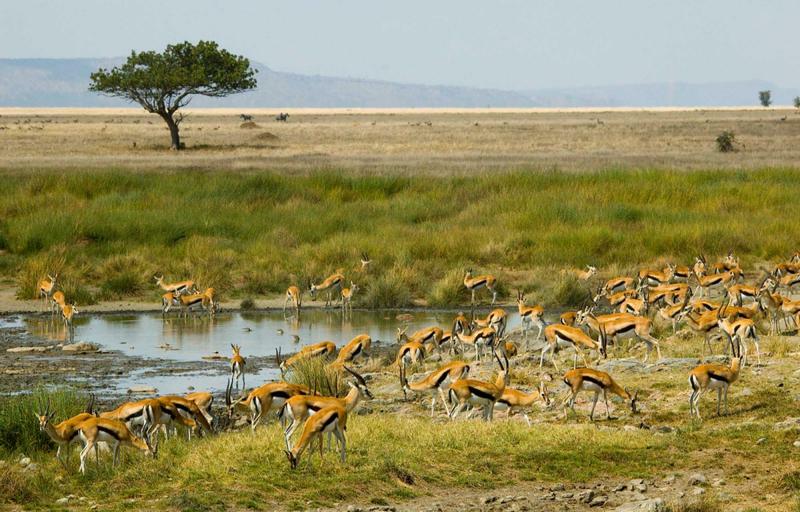 Thompson's gazelle are everywhere, a patchwork quilt of adorable faces covering the plains. And of course there are wildebeest, the Serengeti being the home of the Great Migration, when some two million of these mammals thunder great distances in search of fresh grazing land. Grass disappears beneath swirling dust, predators gorge themselves on an abundant feast, and one of the world's greatest natural sights is yours to explore. Spotting the great migration depends on timing, as the herds move north into Kenya's Maasai Mara during the summer months. 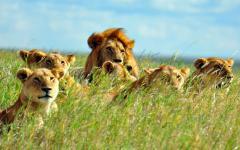 But regardless of when you visit the Serengeti, the sheer concentrations of wildlife are almost difficult to believe. Herds are counted in thousands and predators rarely go hungry. Before entering the Serengeti you'll start at Olduvai Gorge, a thought-provoking valley that played an integral part in human evolution. The fossils and tools discovered here date back 3.5 million years, from a time before homo-sapiens. It's also breathtakingly beautiful. After a long game drive through the Serengeti you'll overnight at a luxury tented camp. Wake up to the sounds of nature before taking in the morning view. The visibility on this flat endless landscape is astonishing, and in the gentle morning light it's possible to pick out silhouettes along the horizon, perhaps a lone bull elephant or a pair of giraffes taking a morning stroll. Wildlife is at its most active in the early morning. The prey is on full alert, seeking solace in numbers and relying on each other's eyes. Perhaps a cheetah leaves behind a trail of dust, ferociously hounding down the lame or sick. Maybe everything seems quiet. A herd of kudu serenely feeds on the grass. Turn away for just a few seconds and it's already happened, the leopard reveling in its ability to pounce without warning. It's unique scenes like this that make the Serengeti so special. 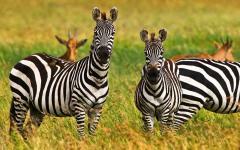 You'll enjoy a long morning and afternoon game drive and experience hundreds of subtle nuances and unrepeatable moments. Two zebra romantically rest their heads together. 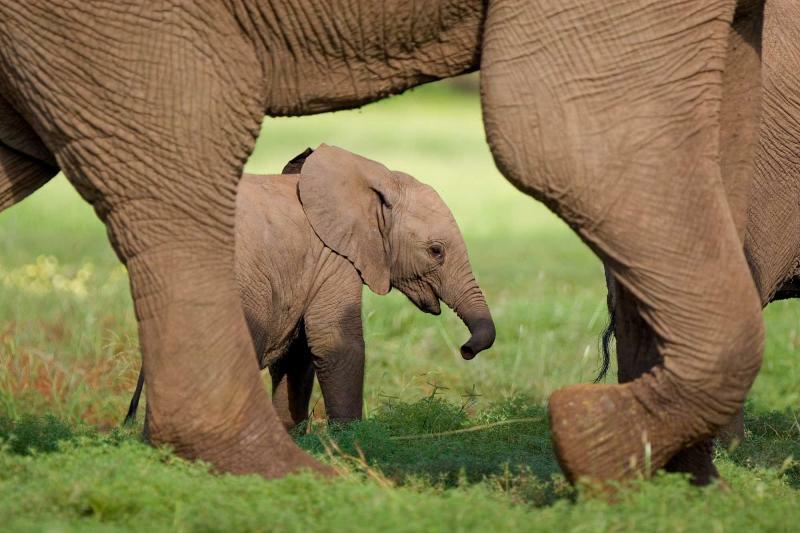 A baby elephant is cajoled by its mother. Then you silently admire the fierce protection that a buffalo herd affords its young. Wildebeest look strange and straggly, but even in a herd of thousands there is always a spark of emotion that catches your eye. Hippos fight, hyenas scavenge, and through the binoculars you spot a lame impala getting cast out from the herd. Immerse yourself in the Serengeti and be prepared for a collection of personal tales that will stay with you for years to come. After breakfast you'll enjoy another long game drive through this iconic park, your guide always eager to explain and share their knowledge. Even after three days there will be lots of new sights to see. Look up and an eagle soars on the thermals, scanning the ground like all good predators. Circling vultures alert everyone to a fresh kill, the birds waiting their turn as the cats dig in. 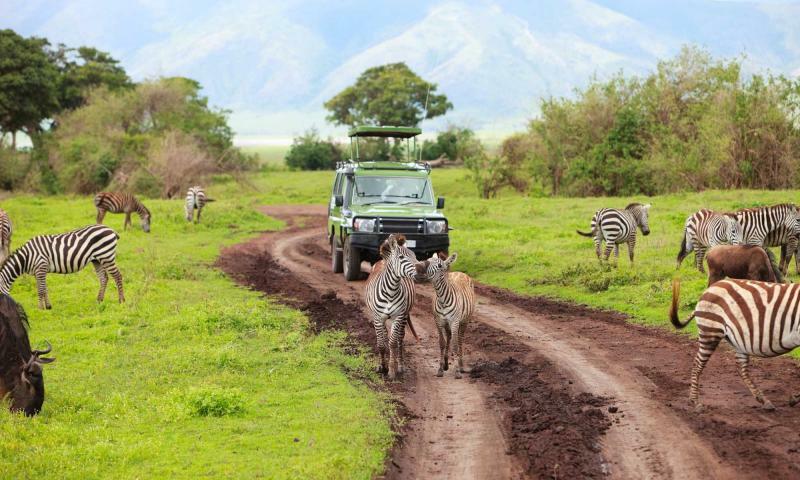 On this game drive you'll eventually exit the Serengeti and continue towards the Ngorongoro Crater. The afternoon is at your leisure, although it's likely that an assortment of mammals is passing by the camp; zebra and elephants are especially fond of roaming around the crater rim. Like every night, tonight you'll be stopping in a luxury tented camp. Some people hear the word tent and get the wrong impression. This is much more than a glamping experience. The sounds of nature pierce through the thick canvas tents, glorious views greet you as you wake each morning, and the facilities can easily rival any upscale lodge. Just remember, if you hear rustling in the night, it might not be safe to leave the tent. While that sounds a little scary, it's exactly why luxury tented camps are perfect for a Tanzanian safari. They're not separated from nature and they don't leave an ugly mark that animals view with fear. Safari isn't confined to the game drives, it's a 24 hour a day experience, and the sudden surprises are often those that leave the longest impression. Just imagine opening the tent and finding a serene herd of hartebeest playing just a few meters away, or enjoying an evening beer and watching an elephant wander past. Mist rises slowly from an ancient inactive volcano. You're descending through it, taking the steep slopes that lead to the crater floor. 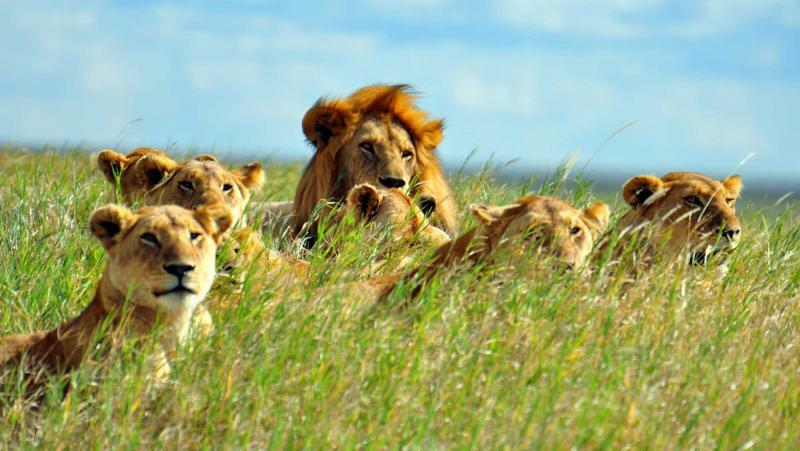 Lions are out on the prowl; this ecosystem contains one of the world's greatest concentrations of prides. It's as if they were waiting for you on the edge of the crater. So where to first? Perhaps head to the forest where huge elephant bulls smash down trees and point their phenomenal tusks. 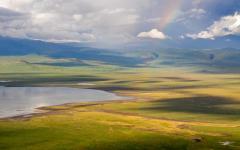 Or maybe hike over to the pink fringed lake, a place of innumerable flamingos and soaring predatory birds. Hippos are wading around the banks, wallowing in the mud and playfully testing out their strength. Some dip into the cooling water, leaving only snout and eyes beneath the morning sun. 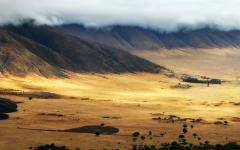 You can see the far crater walls, the stark slopes that surround this teeming animal world. Yet you can't fathom how nature managed to cram so much into such a relatively small space. Head onto the savannah and herds of buffalo amuse with their peculiar way of chewing grass. Hyenas cover great distances as they search for an easy meal. Are you looking at the same one that you saw before? Of course there are antelopes; how else would such a healthy big cat population be sustained? 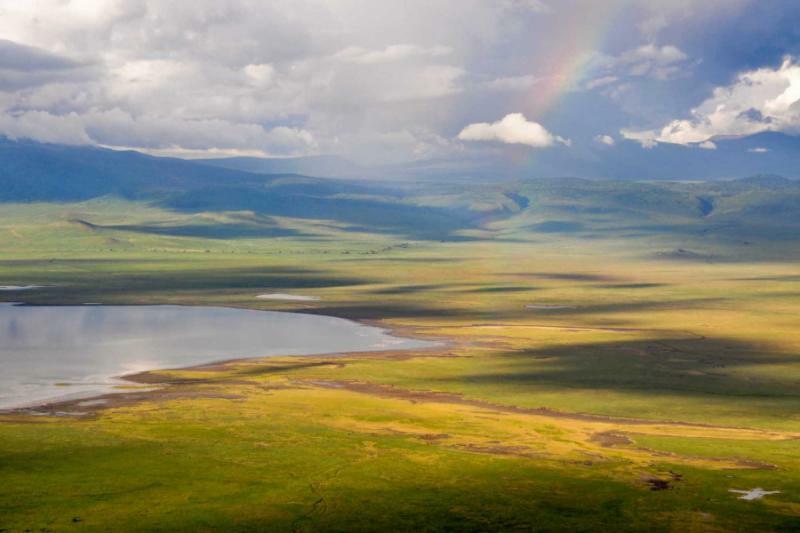 In Ngorongoro it's hard to know which way to turn, every square mile divulges something new. It almost feels like a mythical place, all the great mammals revealing themselves as you admire a 360º view of the landscape. There's one animal that you might not have spotted before today: Black rhinos. Every sighting is special as these critically endangered mammals have almost disappeared from our planet. Their armored skin reveals a prehistoric past, while those sought after horns are emblematic of the rhino's power and personality. Rhinos are big, very big, although it's hard to appreciate their size until you watch one amble past the safari truck. And while their size is always impressive, these creatures have a remarkable elegance, one that is belied by their bulk and reputation. Ngorongoro Crater is the best place in Tanzania to see Black rhinos and your full day game drive should find them in their natural home. Later in the afternoon you'll drive towards Tarangire National Park for dinner and an overnight in your final safari stop. 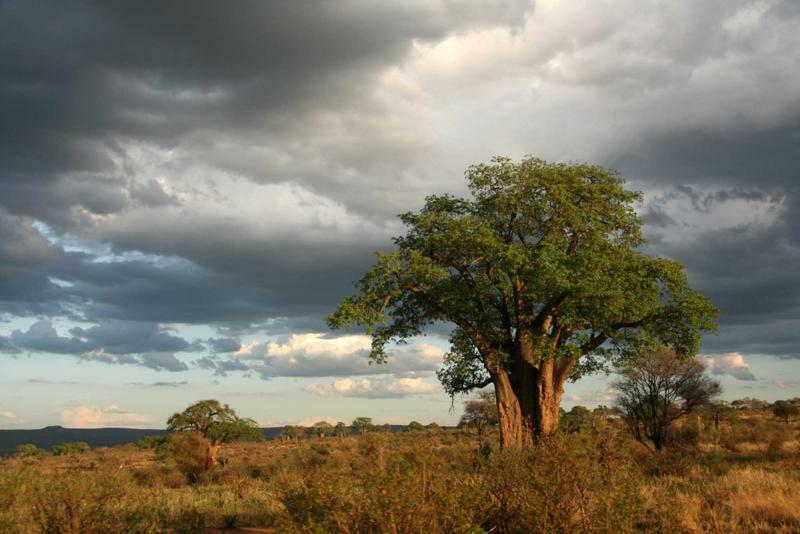 Tarangire's landscape is easy to identify, the savannah marked by a juxtaposition of two ancient sights. 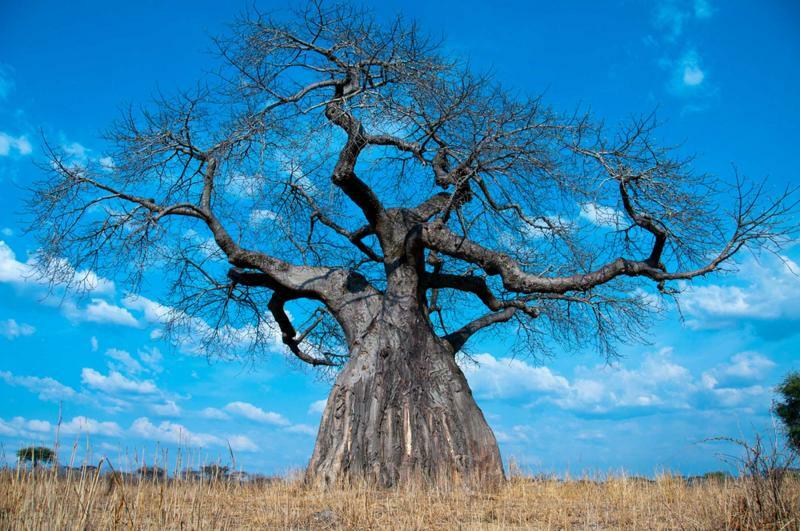 There are the baobab trees, each with a unique shape that casts a shadow across the ground. And there are the elephants, herds of up to 300 moving together through the trees. The land is scorched red in dry season and wildlife searches for a drink along diminishing swamps and parched riverbeds. Then, in the wet season, the lush grass flourishes, turning everything into a verdant paradise. But even when the land appears desolate, and the elephants kick up dust as they move, there is always life here. The mighty Tarangire River never stops flowing and migrants travel hundreds of miles for its life-giving feast. Set off on safari and the riverbanks provide easy game viewing. Young elephants adorably play in the water, splashing each other and spraying fountains over their muddy backs. Waterbucks are also having a drink, beguiling horns revealing males from females. 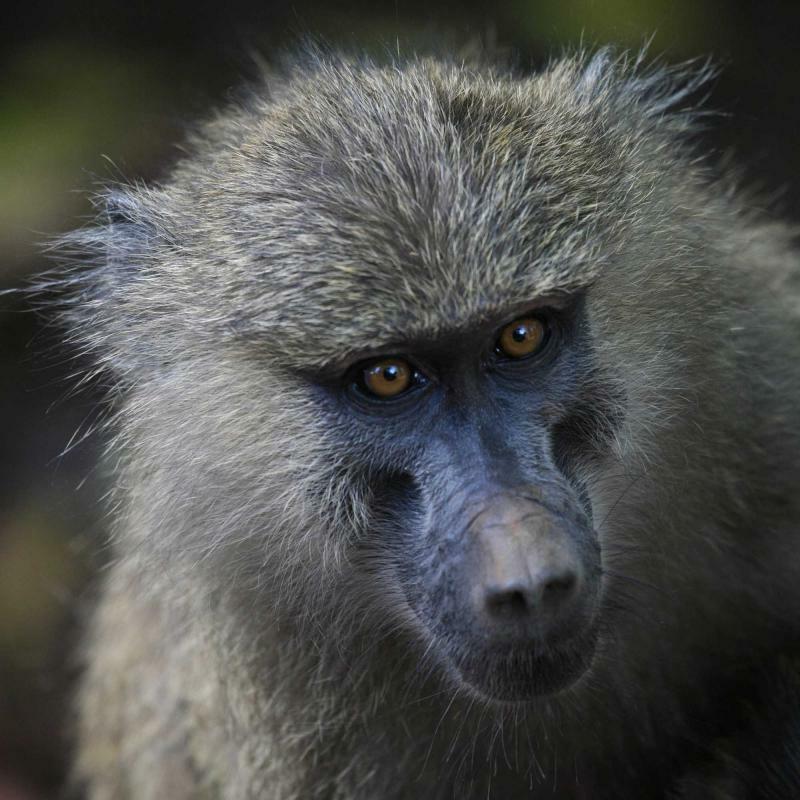 Baboons have joined this animal party, but they're quick to get away and return to the sanctuary of the trees. Accompanying the scene is a chorus of bird song, up to 550 species living in the park, and dozens are spotted on every game drive. The same scenes can be found out by the swamps, Tarangire punctuated by these oases of life. And life always means predators, the highlights here being the tree-climbing lions and leopards. Out on the undulating landscape it's easy to get close to the elephants. They roam and feed, tearing off branches and leaving a scar on every square mile they cross. Babies follow mothers yet sneakily wander off as they discover their boundaries. The alpha males don't have long in their position, as an upcoming cast of teenagers build their strength and prepare to challenge authority. While you will have seen plenty of elephants over the last six days, witnessing the daily interactions of a large herd is a sight that's difficult to find anywhere else in the world. It's captivating and photogenic, and it's far more educational than any wildlife documentary. Over breakfast you'll hopefully enjoy some final enigmatic scenes, elephants et al. 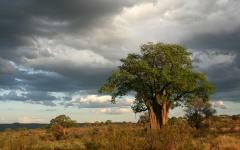 offering the concluding images to your unforgettable safari adventure. You'll drive to Arusha and enjoy a leisurely lunch before being transferred to Kilimanjaro Airport for your homebound flight. You may want to read traveler reviews of Tanzanian safaris on Zicasso to learn about travelers' experiences on a customized tour.